Eric Klinenberg, author of "Going Solo" and Jerilyn Perine discuss the rise of single adults and implications for urban life as (we think) we know it today. More than 30% of the world's population lives alone, and that percentage is growing daily. How is this profound demographic shift transforming the economic and cultural life of cities around the globe? Join NYU sociologist Eric Klinenberg, the author of Going Solo: The Extraordinary Rise and Surprising Appeal of Living Alone (Penguin, 2012), and Jerilyn Perine, Director of the Citizens Housing and Planning Council, for a discussion about the rise of single adults in New York, Paris, Tokyo, and other world metropolises-- and its implications for urban life as (we think) we know it today. Co-sponsored by the Citizens Housing and Planning Council, the Furman Center for Real Estate and Urban Policy at NYU, Penguin Publishers, and the Architectural League of New York. In 1950, only 22 percent of American adults were single. Today, nearly 50 percent are, and roughly one in every seven adults lives alone. In fact, adults living alone make up a larger percentage of US households than the nuclear family, creating the most significant demographic shift in our country since the Baby Boom. What effects, positive and negative, does this change hold for our country? In 1950, only 22 percent of American adults were single. Today, more than 50 percent of American adults are single, and 31 million—roughly one out of every seven adults—live alone. People who live alone make up 28 percent of all U.S. households, which makes them more common than any other domestic unit, including the nuclear family. In Going Solo, renowned sociologist and author Eric Klinenberg proves that these numbers are more than just a passing trend. They are, in fact, evidence of the biggest demographic shift since the Baby Boom: we are learning to go solo, and crafting new ways of living in the process. 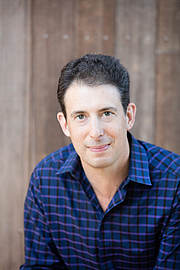 Eric Klinenberg is currently considered a "single author." If one or more works are by a distinct, homonymous authors, go ahead and split the author. Eric Klinenberg is composed of 1 name.